as Jesus sat to eat in the house, behold, many tax collectors and sinners came and sat down with him and his disciples. And when the Pharisees saw it, they said unto his disciples, Why does your Teacher eat with tax collectors and sinners? But go and learn what that means, I will have mercy, and not sacrifice: for I am not come to call the righteous, but sinners to repentance. 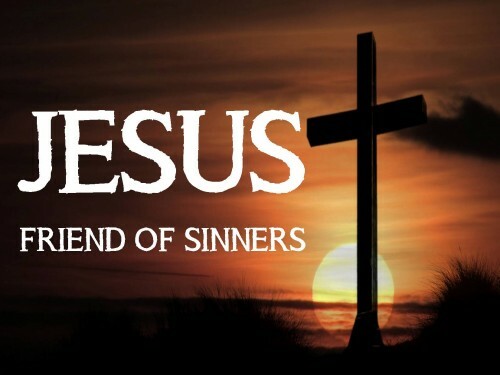 Jesus spent time with people who were considered sinners. He sat with them. He ate and drank with them. He chatted with them. He doesn’t care whether you are a sinner or not. He doesn’t care where you are coming from. He is not bothered about your past. Your sins, failures or mistakes don’t stop Him from loving you. He loves you and He wants to save you & give you a new full, abundant life here on earth. He wants to give you a hope and a future. He wants to give you eternal life. © 2016 – 2018, Foam·skee. All rights reserved. My weight loss update: over 10 kg down!